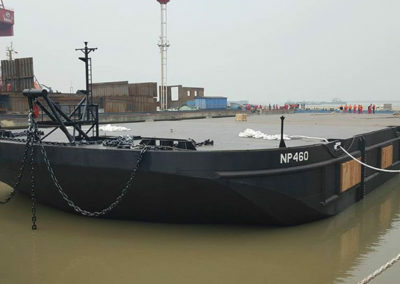 The “NP 459”, built in 2016, converted in 2019, is a high standard uniquely versatile multi-purpose accommodation pontoon of 82,50 x 27,00 x 6,00 meter. 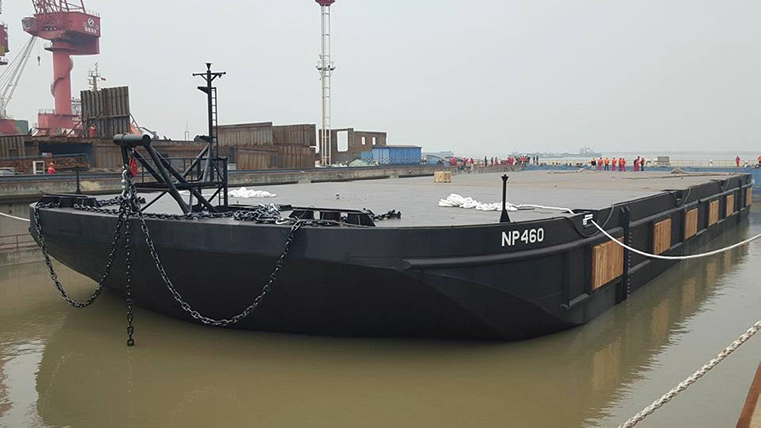 It is a heavy constructed barge with lots of facilitates, an excellent stability data and the highest QHSE standards. The “NP 459” offers 60 P.O.B. accommodation (SPS classed), which can be upgraded to 96 P.O.B. upon special request, including multiple working spaces. The 8-point mooring system, in combination with the 20 ton/m2 strong and large work deck, makes the pontoon very versatile. 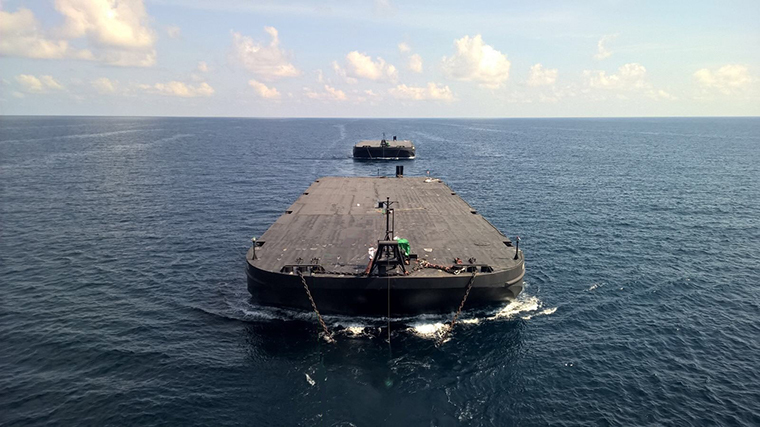 The 8-point mooring system gives the vessel outstanding position keeping capabilities. 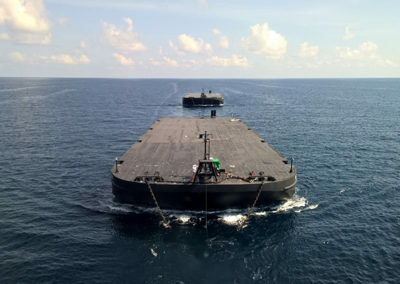 Additionally the pontoon can be equipped with crawler crane, carousel, boat landings and many other associated and maritime related equipment, upon special request, to make the pontoon suitable for all kinds of operations including salvage, offshore accommodation and renewables support. The “NP 459” will be converted to DP-II vessel, as assisting propulsion with retractable thrusters, after the present charter (Q1, 2020). Deck equipment 8 pts mooring 60 tons winches, Full CT.